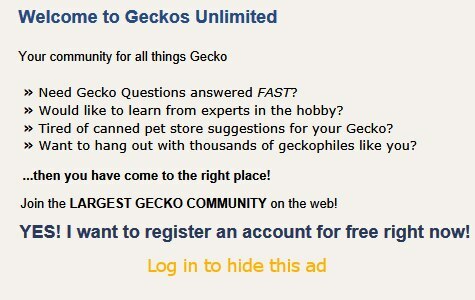 10:47 PM - problematicgecko quoted acpart in post Poop in Leopard Geckos feces? 11:49 PM - Saren quoted acpart in post Never seen my Gecko shed? 03:34 PM - Sg612 quoted acpart in post Baby Leopard Gecko Turning Pink ... ? 06:11 PM - SpottedDragon quoted acpart in post Are these bubbles on my leo’s Neck the same as the bubbles behind her arms? 01:32 PM - Hilde quoted acpart in post Are these bubbles on my leo’s Neck the same as the bubbles behind her arms? 02:54 AM - Geckoleopard quoted acpart in post Gravid or ovulating ? 09:41 PM - acpart quoted GeckoLeen in post What's your favorite lizard? 02:06 AM - acpart quoted GeckoLeen in post What's your favorite lizard?